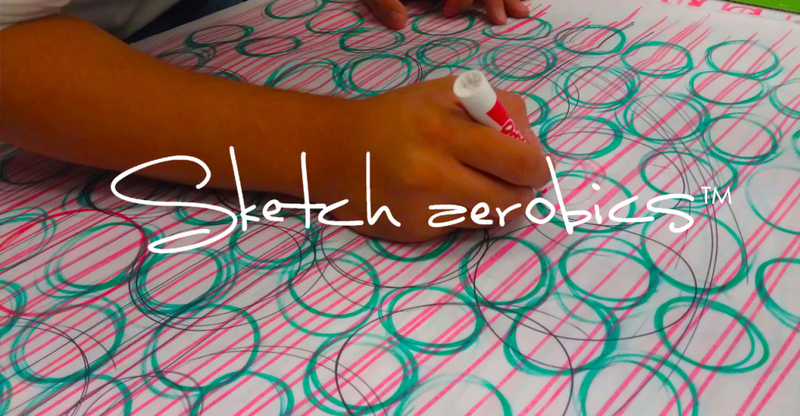 A Look at Sketch Aerobics from Sketch Aerobics on Vimeo. Overcome the barriers of communication by using music and the basic elements of sketching to think visually. The key to be successful at Sketch Aerobics is to learn by doing and work hard. The fun aspect of the Sketch Aerobics eliminates the frustration that commonly used techniques provoke in young designers when learning how to draw. The learning process begins with the very basic elements of drawing (lines and circles) and building up to the more complex visual techniques. The workshop emphasizes the development of rapid visualization and the most effective ways to visually communicate your ideas as a flux for innovation.